Last year Spectile Ltd were approached to develop a new tiling product that would replicate bricks with one glazed surface. Of course, Spectile’s technical team took on the challenge to help their client. 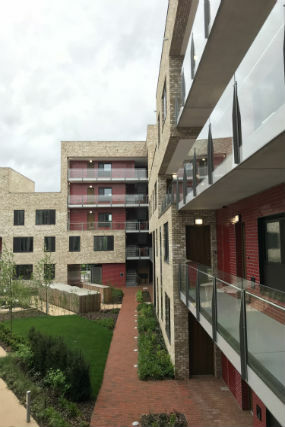 To be more specific; Spectile’s client, Wilkinson Eyre Architects based in London were designing a new additional buildings and apartments at the North West Cambridge Development, Plot 1. They expressed the details of their vision as a replicate of ‘The London Underground’ with an external Red Glazed Brick-Look tile. The new creation would replace a standard brick – glazed on one surface in its production process, which was a more expensive option. With these instructions; Spectile worked collaboratively with one of their trusted manufacturers, Agrob Buchtal in Germany to create an Extruded Glazed Brick Slip Tile. 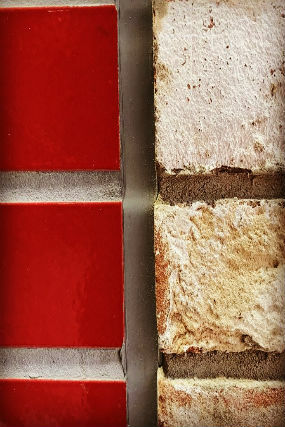 This aesthetically pleasing design would be fitted as a ‘slip’ over a general 215 x 65 x 11mm brick, to cover a traditional brick wall with a look to emulate a familiar theme. Firstly, the exclusive tile slips were available in red but now they are available in a carefully crafted palette of primary and tertiary contrasting and complementary colours. 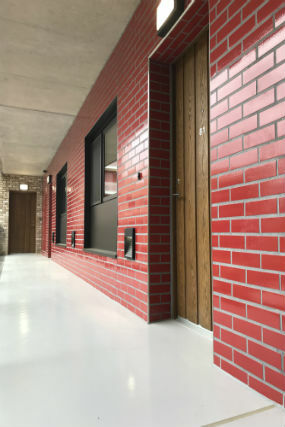 Not only are the new brick slips more cost effective than the standard version, but their glazing quality is undeniable and they are specifically designed to suit modern architecture with the many tones available. Suitable for any space in sectors such as Commercial, Industrial, Residential and Education, they can be applied internally or externally to create a minimal yet impactful feature wall, giving a contemporary take on traditional designs. This bespoke offering that Spectile have managed to create is both exclusive and extraordinary – the eye-catching, vibrant texture and shape of the tile also lends itself to alternative concepts such as wall murals and artwork.